If you've been in a bookstore or on the internet or near oxygen you're probably familiar with the name Amy-Jill Levine. I am very excited about her new book and fortunate to have interviewed her about it. 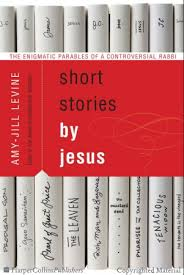 The book is called Short Stories by Jesus: The Enigmatic Parables of a Controversial Rabbi and it will change the way you read some of Jesus' most celebrated teachings. My guess is that this book will invite as much controversy as it does reflection; few readers will walk away from the book unchallenged. Such is to be expected from a teacher as talented as Amy-Jill Levine. ACL: Professor Levine, thank you for providing us with such a fascinating read. Your research casts many of Jesus' most familiar stories in a new light. Did you ever find yourself surprised by one of the parables as your book was unfolding? In other words, did you ever have the experience of thinking that your research would take you in one direction and then find an altogether different line of thought emerge? AJL: Thank you for your kind words. 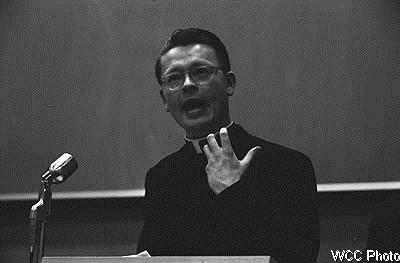 The major surprise I had was that what seemed so clear to me was not often noted in commentaries and even less noted in sermons. Given the increasing interest, in both theological and academic circles, in Jesus as a teacher of justice and ethics, I had expected to find comparably less focus on how Jesus saves our souls for the afterlife more focus on how Jesus saves us from damaging relationships with other people. What also surprised me -- not because if its presence (which I expected) but because its extensiveness -- was the frequent mischaracterization, through ugly and ahistorical stereotypes, of Jesus’ Jewish context. In interpretation after interpretation, Jewish theology and practice are used as Jesus’ negative foils and thus the interpretations bear false witness against both Judaism and Jesus. ACL: You make a compelling case that Jesus' stories were not exactly meant to be enjoyed by his hearers. In many cases, Jesus seems to intend his parables to cause discomfort. You remind your readers that religion often functions "to comfort the afflicted and to afflict the comfortable." You explain, "We do well to think of the parables of Jesus as doing the afflicting." To what extent is this an apt description of Jesus himself? Was Jesus someone who aimed to afflict those who occupied "comfortable" stations in his society? Jesus’ use of the phrase “Son of Man” as a self-designation…may constitute another strand of polemic against a revolutionary theology…it may be a censure against the revolutionaries or those who want to usher in the kingdom through violence…Like the rabbinic tradition of Yohanan ben Zakkai who pleaded with the Galileans to follow Torah instead of revolution, Jesus similarly called the nation to forego its idolatrous nationalism and, importantly, to follow him as God’s agent of the kingdom. 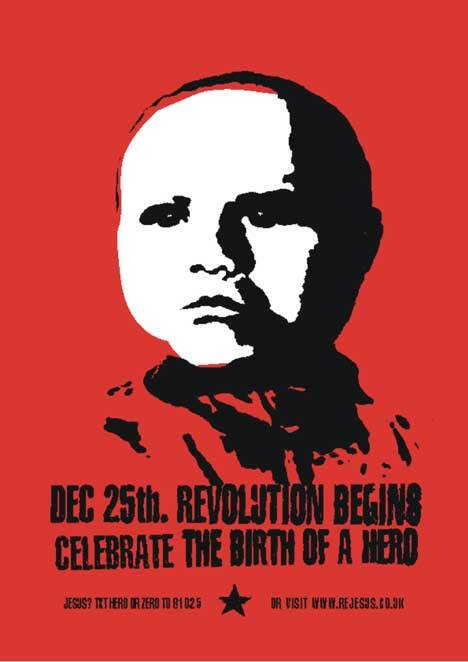 So the distinction between the (typically violent) ‘revolutionary’ and ‘non-revolutionary’ seems clear enough. And yet…the relatively nonviolent Jesuses of Crossan and Wright are discussed in books which imply something about Jesus’ ‘revolutionary’ status: Jesus: A Revolutionary Biography (Crossan) and The Original Jesus: The Life and Vision of a Revolutionary (Wright). So here we have a range of definitions or assumptions about what ‘revolutionary’ means (and whether it is a good or bad thing) in relation to Jesus depending on a given scholar: a zealot-esque leader might be ‘revolutionary’ (whether rejected or accepted as a plausible model for understanding the historical Jesus); the opposite behaviour of someone who latched onto the idea of a ‘transcendental’ kingdom; or someone whose radical ideas turned the world upside down. 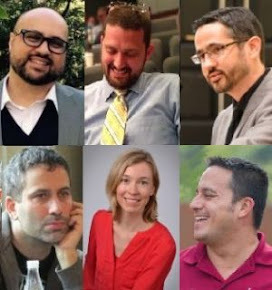 And notice that we can get scholars who argue that Jesus had radical ideas that turned the world upside down but was presumably not a ‘revolutionary’ and we can get a critique of ‘revolutionary theology’ versus Jesus teaching which is a difference so strong that it requires an analogous contrast between al-Qaeda and a Manhattan commune. But let’s confuse things a little further. 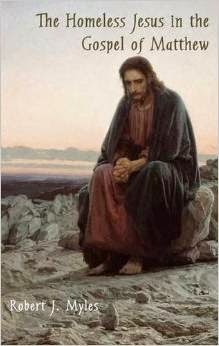 In Pauline studies it is now, of course, obligatory to mention that philosophers like Jacob Taubes, Žižek, and Alain Badiou have given distinctive philosophical readings (Terry Eagleton has attempted something similar with Jesus, though his arguments are much more familiar in the history of historical Jesus studies). All three present Paul in revolutionary terms but do not really think about Paul as leading a violent uprising to overthrow Rome. Instead they construct Paul (and sometimes Jesus) in language unambiguously associated with some of the most popular contemporary understandings of ‘revolution’. For Taubes, Paul stands in a revolutionary Jewish Messianic tradition in constructing a new ‘people of God’ who overthrow all existing categories while more so for Badiou who sees resurrection in Paul functioning as a revolutionary Event much like the French Revolution or May ’68. Žižek and Badiou even compare Jesus and Paul to Marx and Lenin? So does all this make Jesus and Paul ‘revolutionaries’? The authors think so. Lenin and Marx not ‘revolutionary’ enough? Marxist exegete Robert Myles has shown how it is even possible for ‘revolutionary’ stories about Kim Jong Il to incorporate miraculous birth narratives. I could try and provide a definition of ‘revolutionary’ but instead I’m going to confuse things further still by returning to Mike Bird’s analogy between al-Qaeda and his Manhattan commune. This distinction might not be so clear cut. The historical and intellectual background to al-Qaeda and related groups is, of course, complex but Marxism played its part. As has long been noted, Marxist influences (e.g. revolutionary vanguard, anti-imperialism, terror, internationalism, and popular justice), as well as ideas concerning totalitarianism, are unsurprising given the prominence of Marxism in universities and the nationalist and socialist movements in colonial, postcolonial and neo-colonial contexts, including the Middle East, India and North Africa. Thus even Bird’s seemingly common sense distinction can start to break down. And if we are not fond of modern analogies, we might turn to passages from Josephus which suggest that even the distinction between prophet and physically violent subversive is not always clear cut (e.g. War 2.254-68). I won’t give a serious solution to this problem but could we say that the idea of someone attacking economic inequality and promising a future where the first will be last (and vice versa) in a new world order, where the core group get an especially elevated position in what would eventually become or mimic the power it once opposed, sounds a bit like the clichéd pattern of the…revolution? Paul more or less totally ignores Jesus' particular acts, teachings, parables.... never in his writings does he engage in hermeneutics, in probing into the "deeper meaning" of this or that parable or act of Jesus. What matters to him is not Jesus as a historical figure, only the fact that he died on the Cross and rose from the dead--after confirming Jesus' death and resurrection, Paul goes on to his true Leninist business, that of organizing the new party called the Christian community. Earlier in the week, we teased that JC was coming. He has now arrived. JC is, of course, James Crossley, Professor of Bible, Culture, and Politics at the University of Sheffield, who is joining us as a regular contributor. 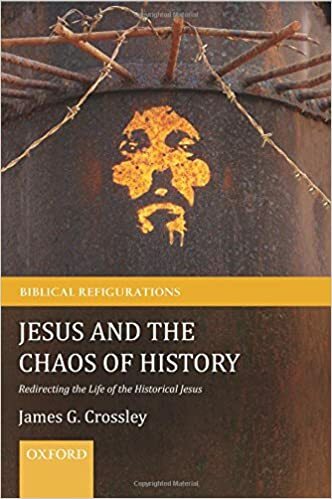 Anyone familiar with discussions in NT studies involving the historical Jesus, the Gospels, Jewish law, the Bible and culture, or the Bible and critical theory will be very familiar with James's work. 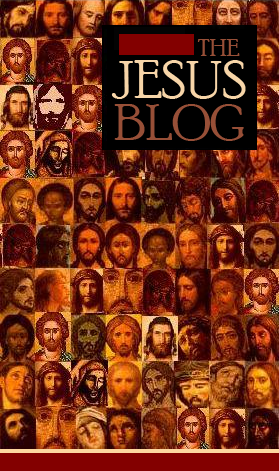 He will continue to maintain his own blog at Harnessing Chaos, but will join us here for all things historical Jesus. Speaking for myself (Chris), though I doubt Anthony will disagree, I consider James one of the most important voices in current historical Jesus work. To say that his is an original voice is too much of a cliché, so I'll just say that I probably learn more from his work than anyone else in the field right now simply because he is constantly taking a different approach to problems, whether new ones or longstanding ones. His recent work, especially Jesus in an Age of Terror and Jesus in an Age of Neoliberalism, has charted new territory in the modern contexts of historical Jesus work. I really can't wait for his new Jesus book to land, Jesus and the Chaos of History (Oxford University Press), and to see some of the discussion it generates. For those who care, and I know lots of you who read this blog do, I'm told that it is explicitly positioned as "post-criteria" historical Jesus research. When we asked James what he thought about joining the blog, he said he'd love to drag the good name of historical Jesus research further into the mud with us, and that sealed the deal. Welcome James! Should we have a formal welcoming evening of drinks at SBL? Would any readers of the blog like to join us if we do? I just found this article by Warren Carter that sets a few aspects of Jesus' life against a Greco-Roman backdrop. Carter asks more questions than he provides answers here, but it is a good succinct synopsis of one particular approach to Jesus. Perhaps it is an approach that has gained less traction than it did in the early 1990s, but continues to be part of the conversation nonetheless. Was Jesus a violent revolutionary, leading a band of armed disciples toward a heavenly war in Jerusalem? 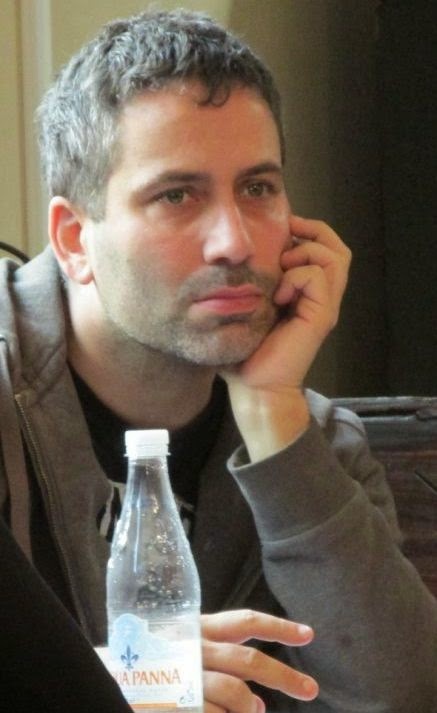 Simon Joseph, author of the new book The Nonviolent Messiah, answers no. You can read my recent interview with Dr. Joseph here, and here. Ever cognizant of the overlaps between historical Jesus research and professional wrestling, we move closer to our big announcement. Yesterday I briefly outlined Martin's hypothesis that Jesus was crucified because he was the leader of a group of illegally armed disciples. Today I focus on Martin's answer to the question of why Jesus' disciples were armed in the first place. He considers the best answer to be that Jesus intended to participate in an armed battle accompanied by a heavenly army (p 15). His supporting evidences for this hypothesis are the episode of the so-called temple cleansing (p 9), the against-the-grain saying in which 'false-witnesses' indicate Jesus own intended participation in the destruction of the temple (p 10; Mark 14:58); Mark's lack of mention of sacrificing or eating lamb at the last supper indicating rejection of the Passover rite at the temple (p 16; 14:18–25), and indications of Jesus' inclusion of Samaritans (who as a group were also hostile toward the Jerusalem temple; p 15; Luke 10: 25–37; John 4:4–42). As I argued yesterday, I propose that the arm(s) carried by Jesus' disciple(s) belonged to the accoutrements of a traveller and were used spontaneously in resistance to Jesus' arrest (as Mark narrates). I view Martin's proposal as a considerably weaker hypothesis. If Jesus and his armed band had attempted to enact a battle within the temple, they almost certainly would have been killed on the spot (the Temple police was present and a Roman cohort stood watch in the Antonia Tower during Jewish festivals just in case of seditious activity; cf. Acts 4:1–3; 5:23–24; 21:31; J.W. 2.224; 5.243–45; M. Middoth 10.1.1-2, 9). Martin offers no explanation for the escape of Jesus and the disciples . On a side note, Martin also does not offer a plausible explanation as to why only Jesus was executed. He suggests that it was typical Roman practice to kill an insurrectionary ringleader but not his followers. Yet, this was clearly not the case in most analogous episodes narrated by Josephus. Roman forces were not hesitant in killing the followers of royal pretenders or the so-called sign prophets (J.W. 2.59, 64, 263; Ant. 17.276, 284; 20.98, 171). Martin does not discuss these examples. From Pilate's tenure, he emphasises that only the chief instigators within the Samaritan prophet's movement were executed (Ant. 18.87)– as though disciples attempting armed revolt would not have been considered instigators as well (p 18). Martin also cites the example of John the Baptist, whose followers were not executed despite Antipas' fear that his charisma might inspire insurrection ( p 18; Ant. 18.113–19). However, one must acknowledge that John did not attempt to participate in an armed revolt, and this probably indicates the same for Jesus. Martin's other points are open to alternate interpretations and do not overcome the major problems posed above. The claim that Jesus would personally destroy the temple is easily understood as a garbled form of his prophecy and symbolic action indicating divine destruction (Mark 11:12–21; 13:2). One can easily read Mark' s narrative as implying that Jesus and his disciples participated in a typical Passover (cf. Mark 14:12, 14, 16). The possible presence of Samaritans among Jesus' followers does not conclusively determine Jesus' attitude toward the temple any more than the presence of tax-collectors determines his stance toward the Roman Empire. Moreover, even if Jesus did lead a counter-temple movement (as a sizeable group of scholars conclude), this does not necessitate that he attempted to use force of arms to bring about its downfall. In sum, Martin's proposal that Jesus and his armed disciples attempted to participate in an apocalyptic battle suffers from the same fundamental improbabilities as previous attempts to construct Jesus as a rebel. His subsidiary arguments are not conclusive enough to overturn these improbabilities. Space does not permit discussion of the problem posed to Martin's hypothesis by the non-violent Jesus of the double tradition (Matt 5:39–42; Luke 6:29–30). My thanks to Brian Pounds for his critical and timely posts. We have some big news here at the Jesus Blog. We will make a formal announcement later, but suffice it to say that we are certain that JC is coming. I am very pleased to feature S. Brian Pounds' response to Dale Martin. Dr. 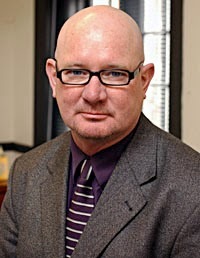 Pounds is a recent graduate of Cambridge and is now teaching at the University of Georgia. His dissertation topic (and forthcoming book) addresses the "crucifiability" of Jesus in historical assessment. With regard to Martin's first point, I can plausibly imagine that more than one disciple was armed at Jesus' arrest. However, based upon the narrative of Mark there is no way to determine whether or not this was actually the case. For the sake of argument though I will follow Martin in assuming that most of the disciples were armed. Granting his first point, I have greater reservation in accepting the second step of Martin's proposal. It is true that weapons were generally forbidden within the official city limits of Rome, but it does not follow that this was also likely the case in Jerusalem. Cultic sanctity and civic ideal within the Roman pomerium prohibited not only weapons but also legions, military dress, certain exotic cults, and even burial (cf. J. Rüpke, Religion of Rome, 182; O. F. Robinson, The Criminal Law of Ancient Rome, 95). Thus, the heart of the empire compared to other urban centres was in many ways a special rather than a typical case. Furthermore, there is no source stating that it was illegal–much less crucifiable–for an individual or group of individuals to carry weapons in Jerusalem. In fact, Roman legal codes and narrative accounts from various periods often convey the right of individuals to bear and use arms for protection, particularly in cases of travellers defending themselves against bandits (e.g. Twelve Tables 8.13; Cicero Mil. 11; Cod. justin. 3.27.1; 9.16.3 Dig. 43.16.3.9; Apuleius Metam. 8.16–18). This is a fact recognised by many studies dealing with Roman criminal law and penal practice (R. Baumann, Crime and Punishment in Ancient Rome, 39; J. Harries, Law and Crime in the Roman World, 113; O. F. Robinson, The Criminal Law of Ancient Rome, 42, 45). More likely than not these same travellers who bore small arms for protection were usually allowed to continue carrying them after reaching urban destinations. Thus, if one or more of Jesus' disciples was carrying a short sword (machaira), it may simply have been one of the accoutrements of travel for the journey to Jerusalem for Passover (cf. J.W. 2.125, 232; Ant. 20.116). In tomorrow's post I will address some of the remaining points in Martin's article. Congratulations there, Big Ben! If you'll send your address to me at chris.keith@smuc.ac.uk, I'll arrange for you to receive your copy of the book. Before the rest of you losers of the contest stop reading, however, I've got some good news! The good folks at Baylor University Press have offered a special discount code on this book for readers of the Jesus Blog. You can order the book on Baylor University Press's homepage (www.baylorpress.com) and at check-out use the code "BBGA." This will get you 10% off the list price and also free shipping. If you love Jesus and you're not reading Wayne Coppins' blog, you're doing it wrong. My thanks to Gene Harker for alerting me to this Newsweek article on a new essay by Dale Martin in JSNT. The link to the journal article is here and its title is "Jesus in Jerusalem: Armed and Not Dangerous." According to the Newsweek write-up and the abstract, which I'll include below, Martin highlights the fact that Jesus' disciples were apparently armed at Passover in expectation of a fight. I've never really bought into the wholly-pacifistic Jesus that my self-professed tree-hugging friend and colleague Dr. Le Donne espouses (and many, many others it should be said). This is partially because of precisely the issues that Martin appears to be addressing and partially because I like to imagine Jesus and the disciples unwinding on the weekend Fight Club-style. Regardless, I'm looking forward to reading this article. I'll report back in due course. "In debating the meaning of Jesus’ arrest and death at Jerusalem, scholars have paid too little attention to normal Roman practices of dealing with persons found armed in public in Rome or other cities under their control. Moreover, the idea that only one or two of Jesus’ disciples were armed has been accepted uncritically in spite of the probability that more or all of them were armed. This article highlights the signiﬁcance of Jesus’ disciples being armed when he was arrested just outside the walls of Jerusalem, linking that fact with other details from the sources, such as Jesus’ opposition to the temple, the presence of Samaritans among his early followers, the absence of lamb at the last supper, and the fact that he was executed by the Romans as a ‘social rebel’. Jesus led his followers, armed, to Jerusalem to participate in a heavenly-earthly battle to overthrow the Romans and their high-priestly client rulers of Judea." It was the early 1990s and I was taking my first class in New Testament studies. The professor was Rabbi Sandy Lowe and the class was titled "Jesus Seminar." It required my participation in several sessions of the Jesus Seminar. We met at the Flamingo Hotel in Santa Rosa, CA. This hotel looks like it belongs in a Miami Vice episode. On the first day of class a woman dressed like Aunt Beru whispered and pointed in awe, "That's John Dominic Crossan!" It was indeed; although, I had no idea at the time why that name mattered. Judging by the way she swooned, I guessed that he must be the Sonny Crockett of Jesus studies. There were a few lectures, there were questions, there were answers... there were colored beads. If you're not familiar with the method, the Jesus seminar made a practice of voting on the sayings of Jesus using colored beads. There was a spectrum of four choices ranging from "Jesus never said this" to "Jesus certainly said this." The seminar fellows - about forty of them on this occasion - sat in a circle in the Flamingo's large conference room. You will never find a more wretched hive of scum and villainy; actually, they all seemed pretty nice. But I must say it was fascinating. I felt like I was watching a burgeoning cult. And, eerily, I couldn't stop humming "Hotel California." I wish I could tell you who said it. Some scholar within the inner sanctum, someone with a particularly squeaky voice chirped, "I've been trying to figure this out, but I just can't. What the hell are we doing?" His exacerbation was met with an eruption of laughter. What he said next was a sentiment that I've heard in various forms over the past 20 years, but this was the first I'd heard it: "You know, secular historians don't do it this way." 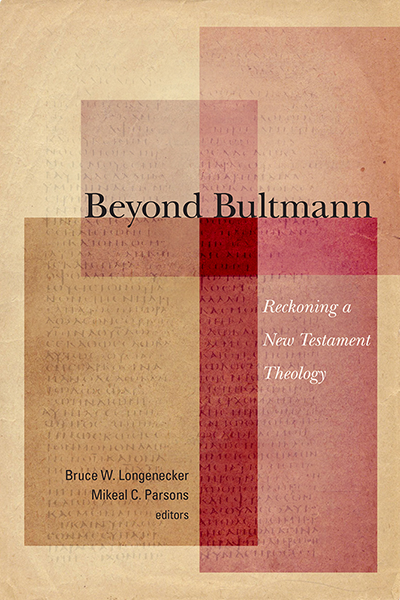 We're very pleased to announce that the good folks at Baylor University Press are providing a copy of Beyond Bultmann: Reckoning a New Testament Theology (eds. Bruce W. Longenecker and Mikael C. Parsons) for us to giveaway! If you want to win this book, and you know you do, you can enter by (1) leaving a comment saying you want to enter, (2) signing up to follow the Jesus Blog and leaving a comment saying you did, (3) sharing this post on social media and leaving a comment saying you did, and/or (4) sharing in the comments your favorite anecdote about Bultmann or studying Bultmann. We'll tally the comments up and let the random number generator give us a winner. The Gospels are not literal records of the ministry of Jesus. Decades of developing and adapting the Jesus tradition had intervened. How much development? That has to be determined by painstaking scholarship which most often produces judgments ranging from possibility to probability, but rarely certainty. I (Chris) recently invited Robert Myles to do a guest post on his new study, The Homeless Jesus in the Gospel of Matthew, which continues in a line of scholarship that emphasizes ideological and socio-economic factors in NT scholarship. Robert is also blogging over at The Bible & Class Struggle. I thank Robert for contributing the following. Please leave any questions in the comments section, as I'm sure Robert will be willing to respond. First of all I want to thank Chris and Anthony for inviting me to write this guest post on the topic of my new book on Jesus and homelessness. The Homeless Jesus in the Gospel of Matthew (2014), published by Sheffield Phoenix Press, is an exercise in the burgeoning field of Marxist exegesis of the New Testament. For readers unfamiliar with Marxist approaches to biblical criticism, 'Marxist exegesis' focuses on the critique of ideology in biblical interpretation and also how issues like class conflict are essential to explaining cultural and historical change. My book examines the juncture between Jesus and homelessness by emphasizing how Jesus' experience of homelessness fits into his wider social, political, and economic context of the first century. The gap it identifies is basically that Jesus' homelessness or itinerancy has never been adequately integrated into its wider social, political, and economic context, despite this being a major area of concern for New Testament scholars. Jesus' homelessness is rather presented as an arbitrary choice, or consequence of his God-ordained mission, which Jesus seems able to freely enact at will. The book re-reads a number of pivotal texts from the Gospel of Matthew to expose how Jesus' homelessness is more likely produced as a consequence of these wider hostile forces. Given that the book is also a work of ideological critique, my other overarching concern is the contemporary context of neoliberal capitalism and how this context has shaped scholar's presuppositions over the past forty or so years. James Crossley has recently drawn attention to some of these issues in his book Jesus in an Age of Neoliberalism (2012). Neoliberalism is typically associated with the policies of the Reagan and Thatcher governments, particularly their ideas about personal responsibility, undermining of social welfare, deregulation of markets, and so on. It now blindly operates as a kind of hegemonic mode of discourse or theory of everything, and is tacitly accepted as a default ideology by most people in contemporary Western societies, including mainstream biblical scholars. In my book I demonstrate how neoliberalism has operated at the level of the ideological unconscious to heighten Jesus' agency, individualism, and ability to 'choose' homelessness, while simultaneously downplaying some quite obvious connections between Jesus and his economic context. This means that Jesus' experience of homelessness often gets 'romanticized' in contemporary interpretations, even when this seems to go against the grain of the text. A good example of this is the Flight to Egypt in Matt. 2.13-23. Recent scholarly attention has focused almost exclusively on how this story reconfigures texts from the Hebrew Bible, for instance, by echoing the figure of Moses. While these aspects are certainly interesting, the lack of attention to how this text functions as a narrative of forced displacement is a curious oversight. Right from his infancy Jesus is depicted not only as the Jewish Messiah, but also as a marginal, persecuted, and displaced refugee. 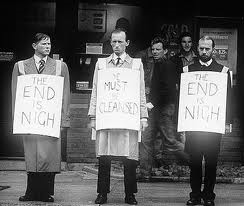 Towards the end of the book I put forward the case that Jesus' homelessness is, in part, a reason for his eventual execution by the ruling elite. This is because what emerges through the gospel is Jesus the expendable, the refuse of first-century Palestinian society. As a deviant outsider and perceived criminal threat, he is targeted for extermination. To envisage Jesus as an excess to dominant arrangements of power works to both undermine and challenge some of the more idealized readings of Jesus and his homelessness that have materialized in the past few decades. If you’d like to read more about the kind of things I argue in the book, you can check out a couple of posts on my blog about Jesus and work and Jesus and class. Was the Gospel of John Composed Independently? Does Peter Enns Represent the Lord Correctly?